You knew it was going to happen: As soon as Linux’s Bash shell hit Windows 10 in yesterday’s Windows Insider preview build, people immediately experimented with rm -rf /, a.k.a. the deadly Linux command that nukes everything stored on your computer as well as everything stored on anything attached to your computer. rm tells the system to delete the files. -rf stands for “recursive force,” which tells the system to force-remove all the files and folders inside the location you specify without prompting you—even write-protected ones marked as read-only. Finally, the / location specified in this deadly thread represents the root directory—the genesis of your system. 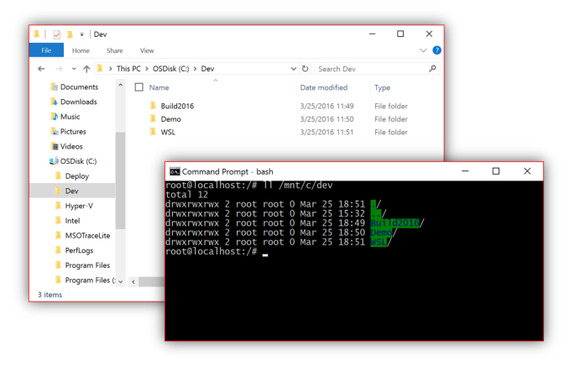 Naturally, it’s one of the first things people tried with Windows 10’s Bash implementation—hopefully inside a virtual machine. But it wouldn’t have mattered because running the command doesn’t fry your system, as Petri first reported (though it does fry Bash). @CarmenCrincoli @DrPizza @bdsams and then it's just on you to not be silly. RD /s on CMD and rm -f in bash is usually silly. If you’re looking for more productive ways to use Bash, be sure to check out the 12 commands every Linux newbie should learn.